It’s finally here! 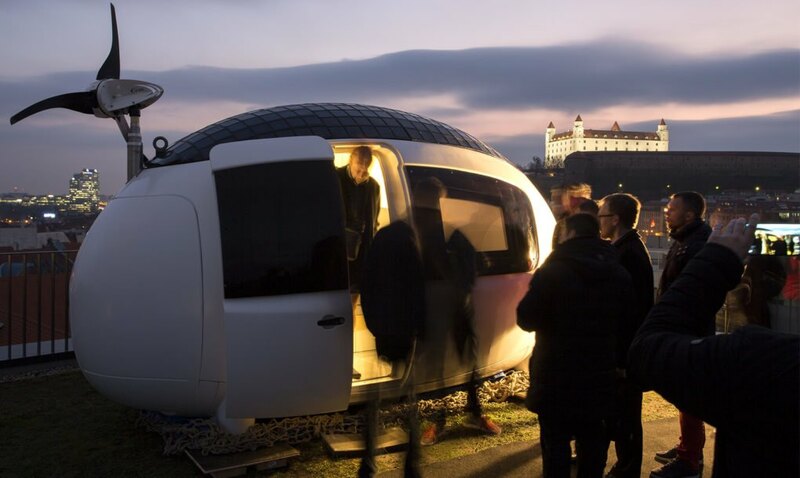 The egg-shaped Ecocapsule, which made its debut in 2015, is finally available on the market. According to the Bratislava-based designers, an initial 50 will be sold in 2018 and more are planned for 2019. 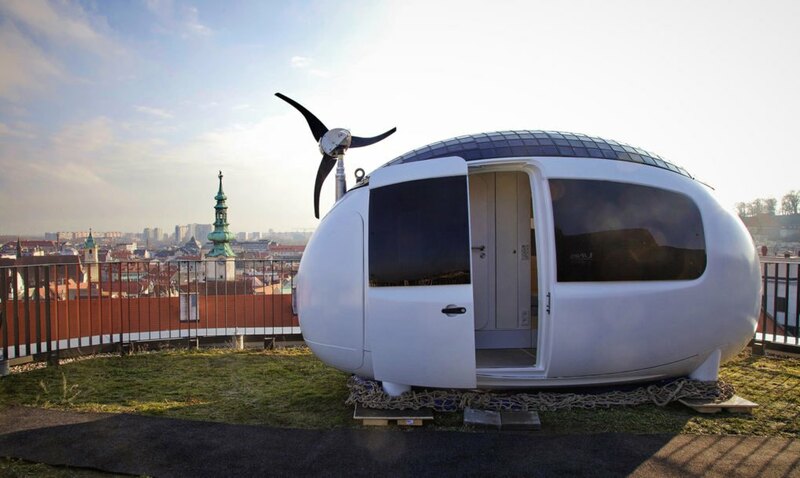 NewAtlas reports that the Ecocapsule measures 4.67 x 2.2 m (15 x 7.2 ft) and has a maximum height of 2.5 m (8.2 ft). 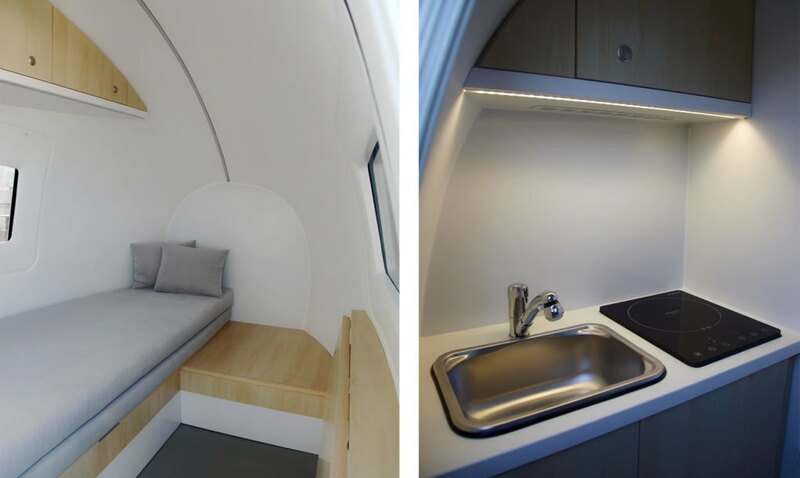 The interior floor space measures 8.2 square meters (88 sq ft). Altogether, it weighs 1,650 kg (3,637 lb) when the water tanks are full. 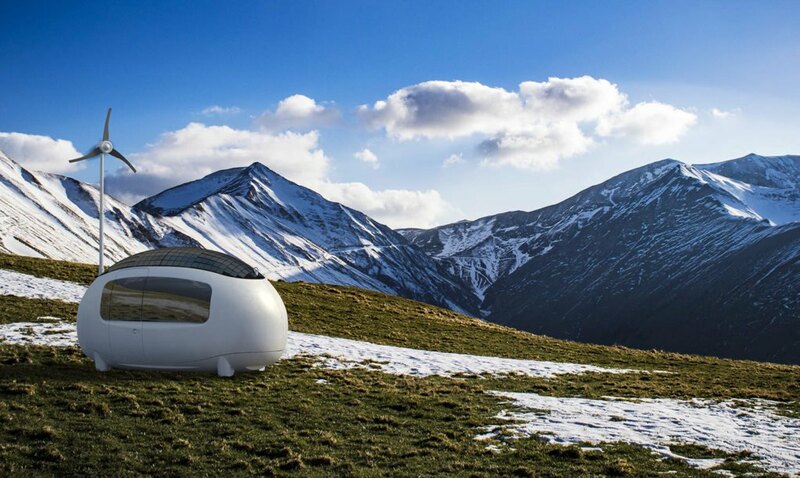 The Ecocapsule has a steel frame with a fiberglass shell and polyurethane foam insulation. This eliminates the need for a conventional foundation and enables the micro-home to be transplanted to a solid, flat piece of ground. Homeowners enter the abode through the sliding door (the prototype had a lifting door). 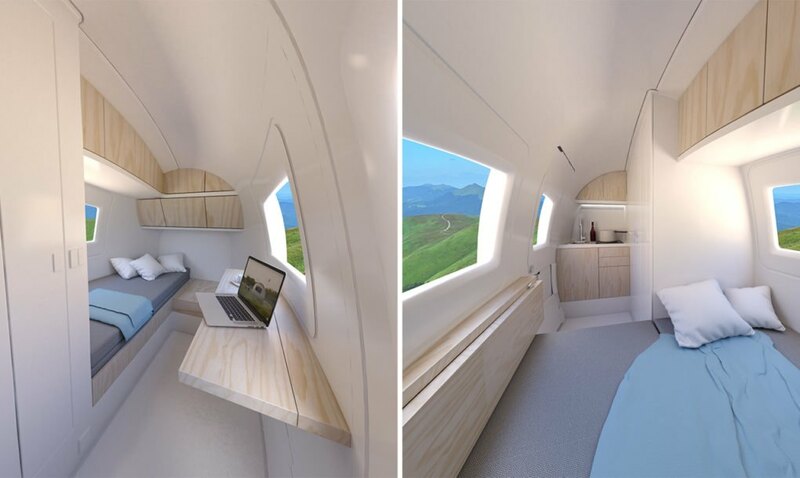 Inside, one will find a bed and a small camper van-style bathroom, which includes a shower a composting toilet. The kitchenette includes a sink and electric cooktop. The mini-fridge is optional. In the remaining space lies a small seating area, a desk, closet, and some storage space. Power is obtained either from a standard grid hookup or an 880 W solar panel array. The unit also includes a 750 W wind turbine which is mounted on a telescopic pole. Both the solar array and the micro wind turbine are hooked up to batteries. Water is obtained from an integrated rainwater collection system and stored in tanks. Users also have the ability to draw water from an external source, such as a stream. 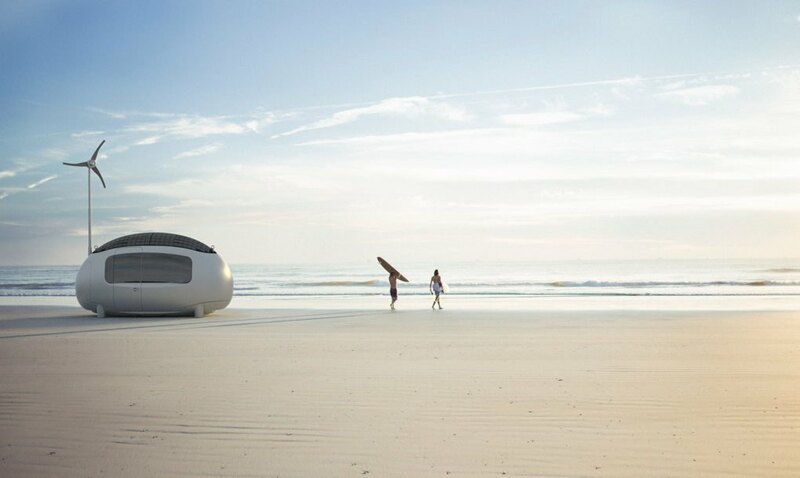 Comfort is guaranteed in the Ecocapsule, thanks to a heating, ventilation, and air-conditioning unit (HVAC). 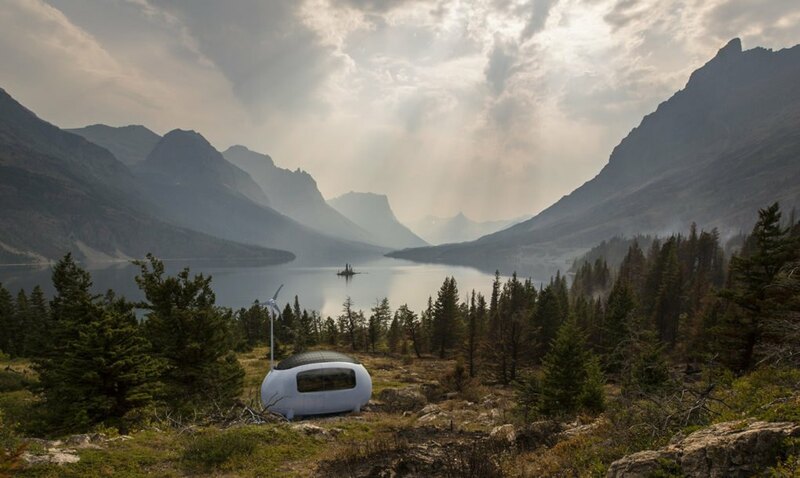 The micro-home’s system syncs with an iOS or Android device. This allows users to keep track of how much water is in the tanks, as well as control the lighting, ventilation, and other systems. 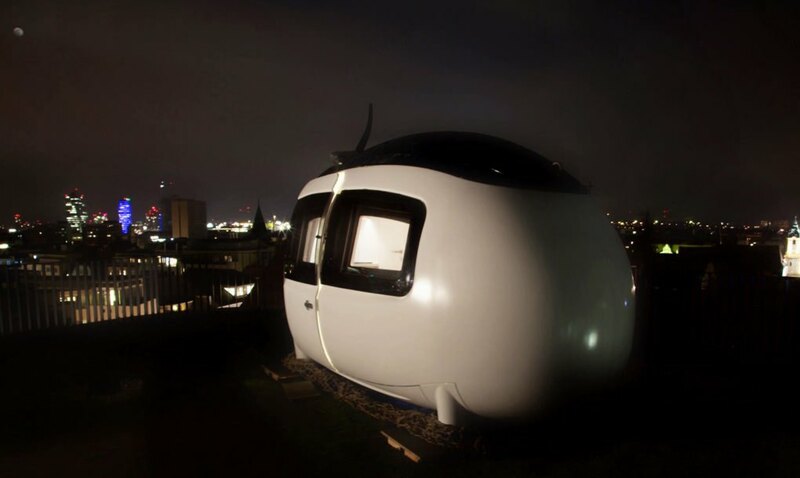 The Ecocapsules are available for pre-order to customers living in the United States, Japan, Australia and the EU. The first 50 units are listed for €79,900 (US$97,800), with promised delivery for 2018. 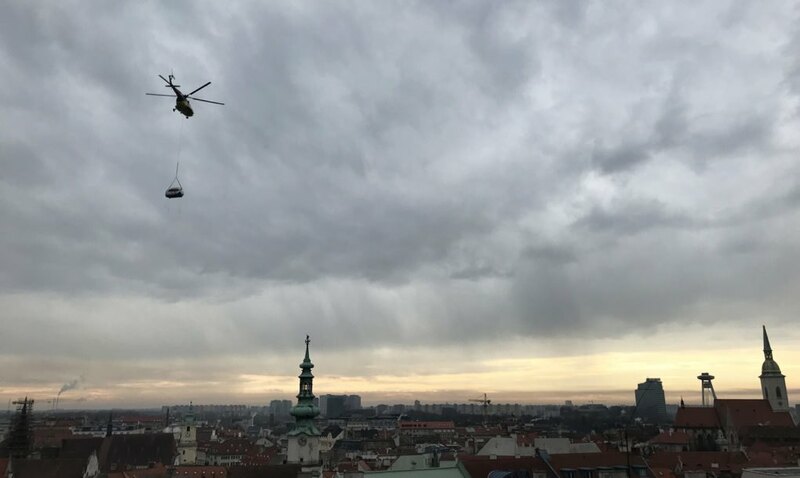 The next batch is expected to be cheaper, with delivery leaning toward early 2019 (price TBA). One thing is for certain — the concept, which took ten years to come to fruition, is definitely unique! Please comment your thoughts below and share this news!